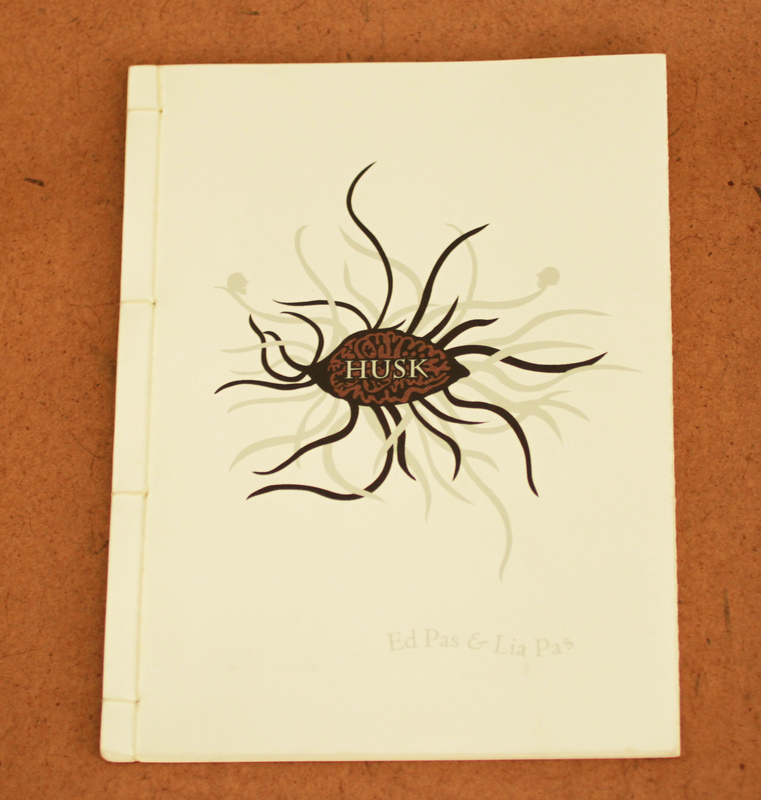 Husk is a being, a voice, a page that turns, a seed, a transformation. In Husk, Ed and Lia Pas have collaboratively created the tale of an uncanny being. 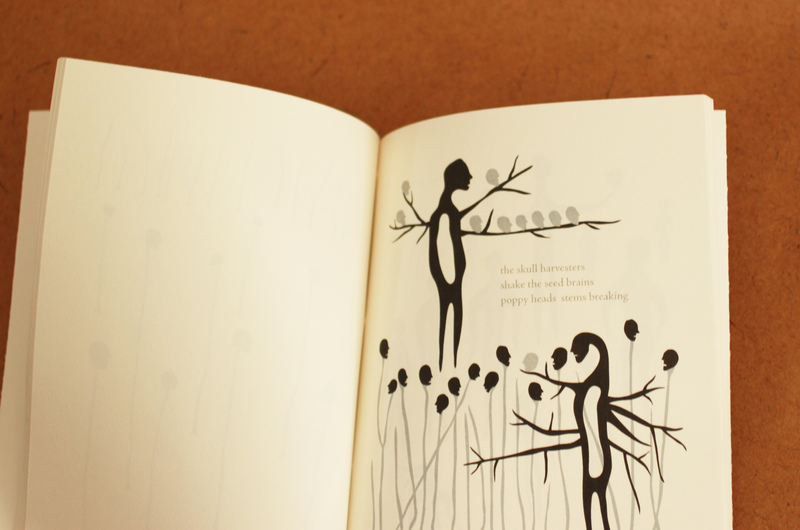 Lia’s sound-influenced text and Ed’s surreal drawings recount—with a touch of dark humour—an evocative tale of visceral, organic metamorphosis. Materials: An exquisite object, this book includes eighteen colour images with integrated text, printed on cotton rag paper and bound in a Japanese style with waxed linen thread.